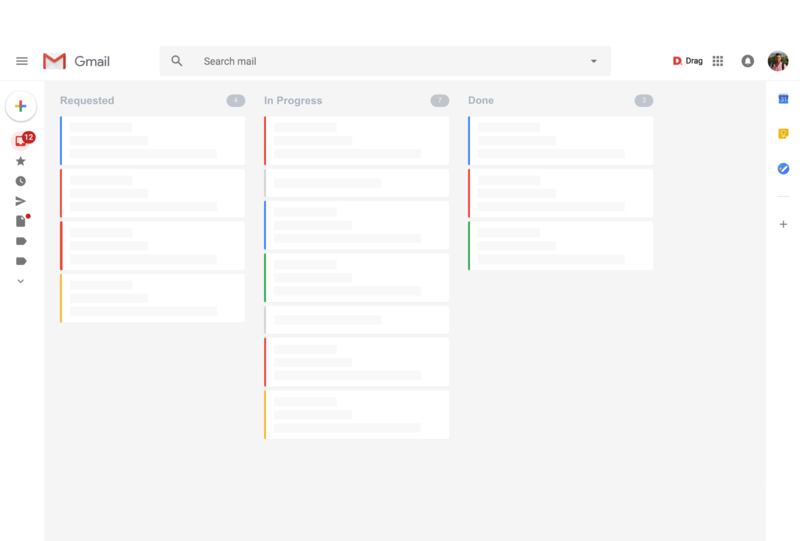 Track simple tasks in Gmail. Email is probably how your team are talking about managing projects. Keep the conversations inside Gmail. No need to switch between email and project management tools. You can keep them all in one workspace, inside Gmail. Keep track and close tasks from one place. Spend less time managing projects and more time completing tasks. Drag is the most lightweight way to run projects inside Gmail.